Robert Audi, "Religious Disagreement: What it is and How We Can Approach Its Resolution"
"Religious Disagreement: What it is and How We Can Approach Its Resolution"
Public Lecture, Thurs. March 22, 2018, Cone 111, 2:00-3:30. Bio: Robert Audi writes, teaches, and lectures in four areas: ethics and political philosophy, epistemology, philosophy of mind and action, and philosophy of religion. In moral philosophy, his main topics have been in ethical theory, moral epistemology, moral psychology, and value theory, but he also has done work in applied subfields such as business ethics. His work in philosophy of religion has centered on faith and reason, the problem of evil, religion and morality (including religion and politics), and naturalism as a challenge to a theistic worldview. 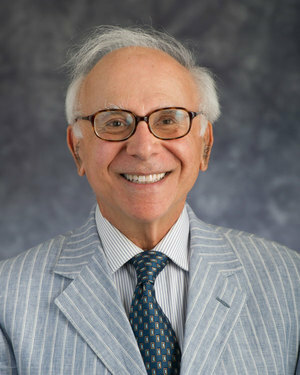 Audi is the author of numerous books and articles, including Means, Ends, and Persons: The Meaning and Psychological Dimensions of Kant’s Humanity Formula (Oxford University Press, 2016), Moral Perception (Princeton University Press, 2013), Epistemology: A Contemporary Introduction to the Theory of Knowledge, 3rd ed. (Routledge 2010), Practical Reasoning and Ethical Decision (Routledge 2006), and The Good in the Right: A Theory of Intuition and Intrinsic Value (Princeton University Press, 2004). Abstract: This talk will combine elements of ethics, political philosophy, and philosophy of religion. It starts with the problems that grow from religious disagreement as a prominent element in contemporary life. It is not easy to define such disagreement. Indeed, can we—or can government—define what constitutes a religion? The presentation will begin by exploring some prominent criteria for calling a way of life a religion. Without an understanding of what makes a way of life a religion, we cannot understand religious disagreements or how they can be resolved. Understanding these disagreements is important even apart from the urgency of seeking peaceful resolutions, but there is some hope that promoting understanding them better might reduce conflict and violence. The discussion will also consider some common ground—especially in the moral domain—among human beings irrespective of religion. Given such common ground, the talk will propose some principles for dealing with religious differences in democratic societies. The concluding discussion will focus on how adherence to those principles may help to bring together people who would otherwise be divided by their religious stances.